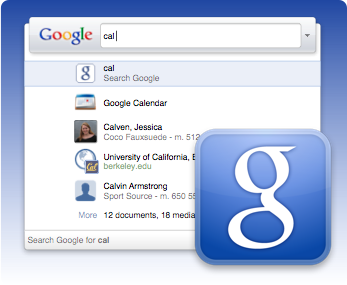 Google has released a beta of it’s open source search box application for the Mac, Quick Search Box [Google Blog Post]. From the looks of things, it shares a lot with Quicksilver, the amazing application launcher (and more) that was recently abandoned by developer Nicholas Jitkoff and made open source. It makes sense, because Nicholas Jitkoff is one of the developers of Google’s latest effort. It’s great to see the project going forward, even in a new skin under a new name. With the resources and exposure it will get as a Google Project it will have the opportunity to attract a lot more users.